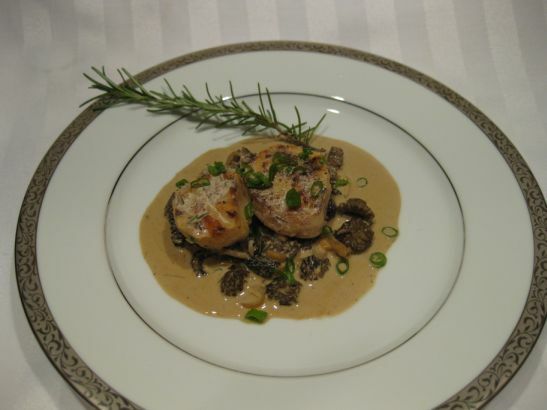 Scallops are a wonderful type of shellfish that can be easily enjoyed when cooked properly. The goal is to ensure that they are indeed fresh and have not spoiled. The way to know if the scallops are bad is if they smell bad, and do not smell like the sea. 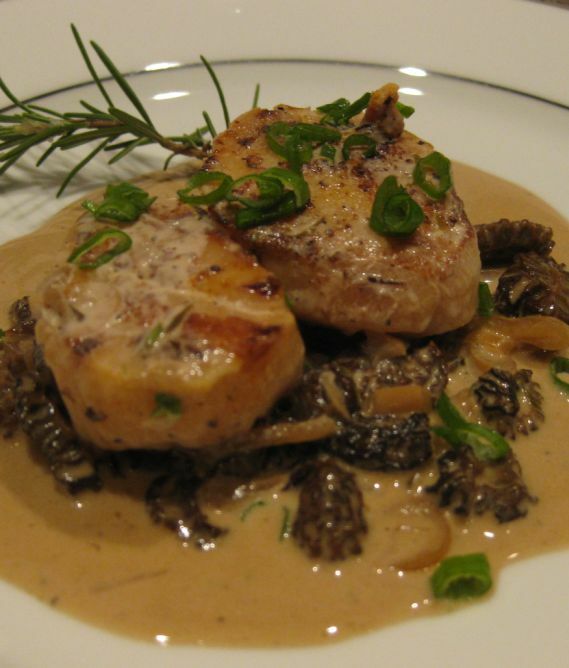 Eating spoiled shellfish such as scallops can make you very ill. So it is very important to ensure that the scallops are indeed fresh. When purchasing fresh scallops it is best to eat them on the same day that you purchased them. The good thing about scallops is that they do not need a lot of time to cook however if they cook too long they risk the chance of becoming rubbery. So the goal is to make sure that they do not get that way while cooking them. Scallops only need to be cooked for several minutes. 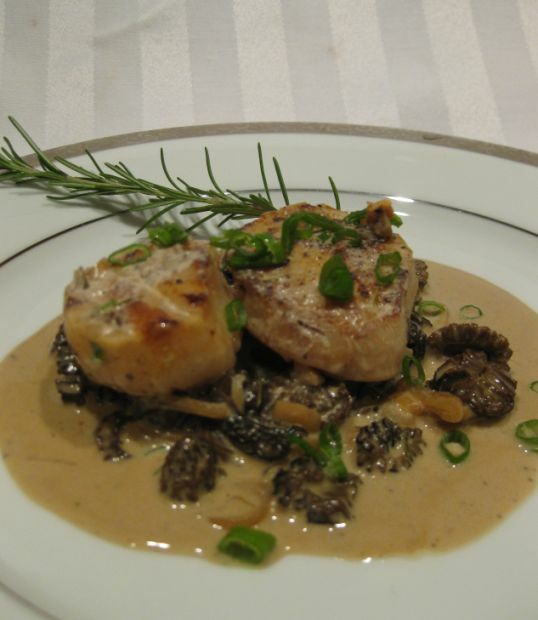 I paired the scallops with a morel cream sauce. 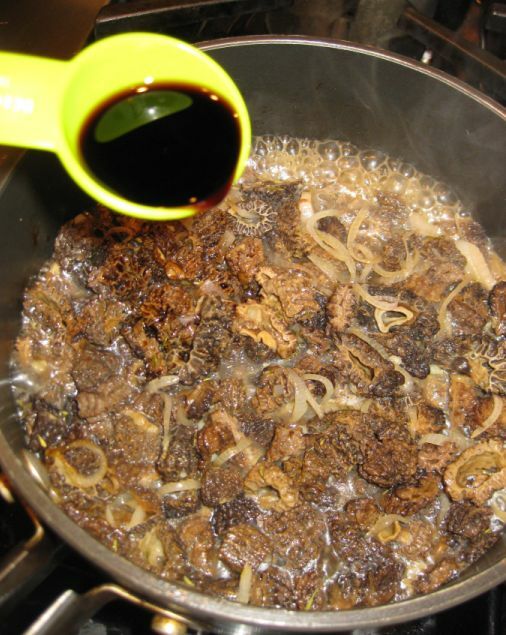 In a bowl, place the morels and pour water over them, being sure that the mushrooms are submerged in the water. 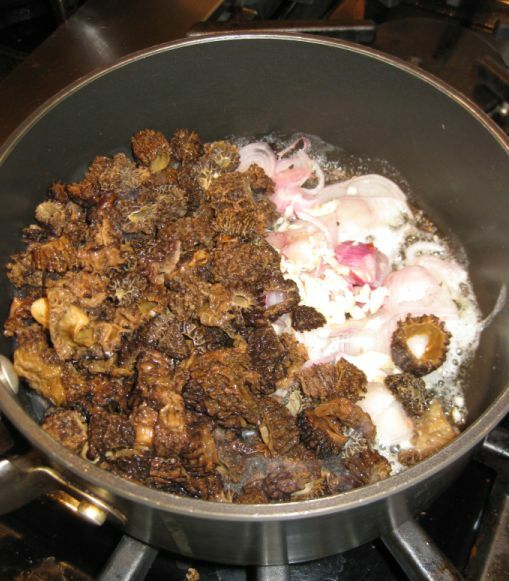 Allow to soak for 10 minutes. 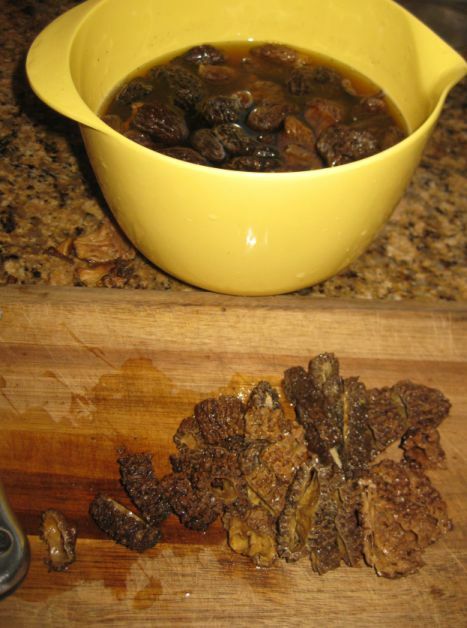 Remove from the water and rinse the morels under cool water, dice into 1/4-inch rings, set aside and reserve. Strain the remaining soaking water through cheesecloth and reserve separately. 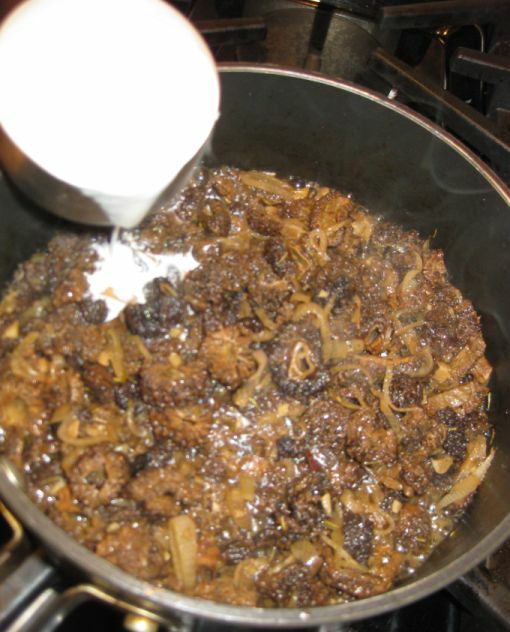 In a saucepan, add the olive oil and 1 tablespoon of the butter over medium-high heat. 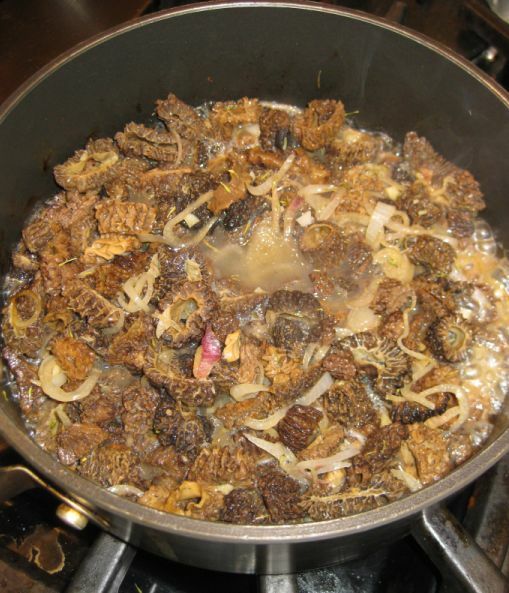 Once the butter is melted, add the reserved sliced morels, the shallots, garlic, thyme, salt and pepper and sauté until fragrant, about 1 minute. Add the white wine ..
and balsamic vinegar and reduce until nearly dry, about 3 minutes. Season the scallops on both sides with the salt and white pepper. Set a 12-inch sauté pan over medium-high heat and add the olive oil. 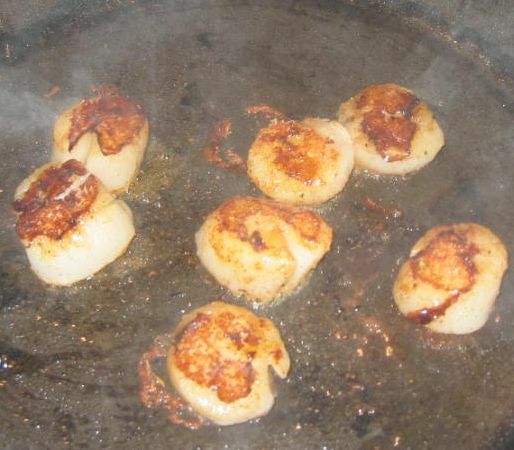 Once the oil is hot, place the scallops in the pan and sauté for 2 minutes on the first side. Add the butter, placing the cubes in different parts of the pan. 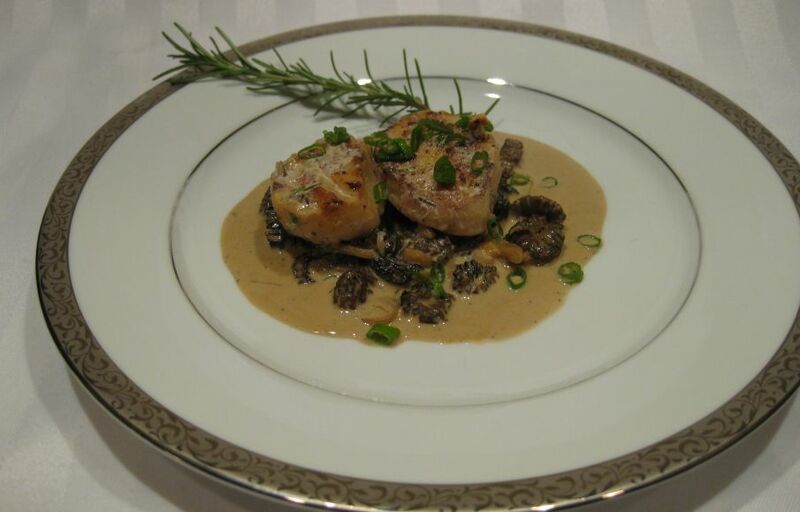 Cook the scallops for 1 minute longer, then turn and cook on the second side for 1 minute. Add the lemon juice and 2 teaspoons of the parsley and cook for 1 minute longer.